This comic was posted in monsters vs zombies comic and tagged classic, comic, digital, frankenstein, horror, monsters, monsters vs zombies, Monstersvszombie, monstersvszombies, monstervszombies, mversusz, vampires, walking dead, werewolf, zombies. 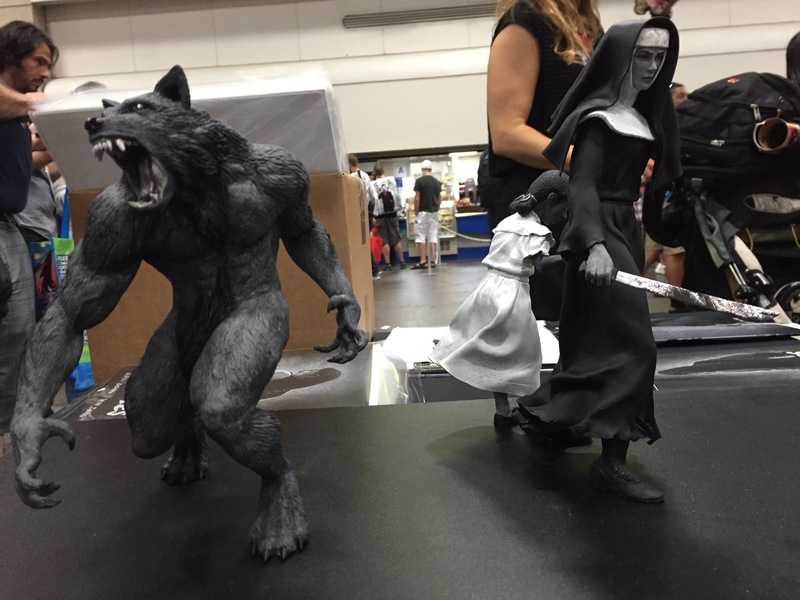 “Vin Teng” sculpted Werewolves and Frankenstein kits are availble at the San Diego Comic Convention. Looking forward to seeing you all over at table J-05! Another year has quickly come and gone, and wow, did it go by fast. Monsters vs Zombies are back in San Diego Comic Convention this week. If you happen to be going to the convention, come and stop by our table over at J-05. We have a sick diorama of the characters at the booth by Vin Teng. We’ve made a small run, and will be selling the first and second issue at the convention. 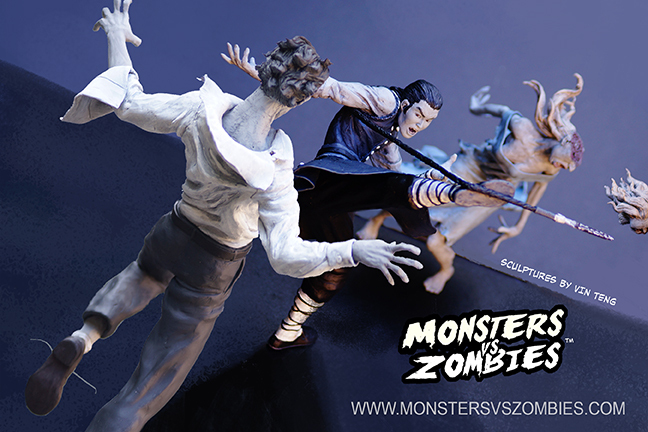 Hey Monsters vs Zombies fans! Eric here. Wow, the year has quickly come and gone. Here we are, a year later after I started this. I wanna thank you fans for following and checking out our comic through out the year. I hope you have been enjoying the art and story we’re putting together here. If you happen to be going to the San Diego Comic Convention this week, come and stop by our table over at J-05. Join us for the 1st published release of the Monsters Vs Zombies comic! We’ve made a small run, and will be selling the first completed issue at the convention. Don’t worry. 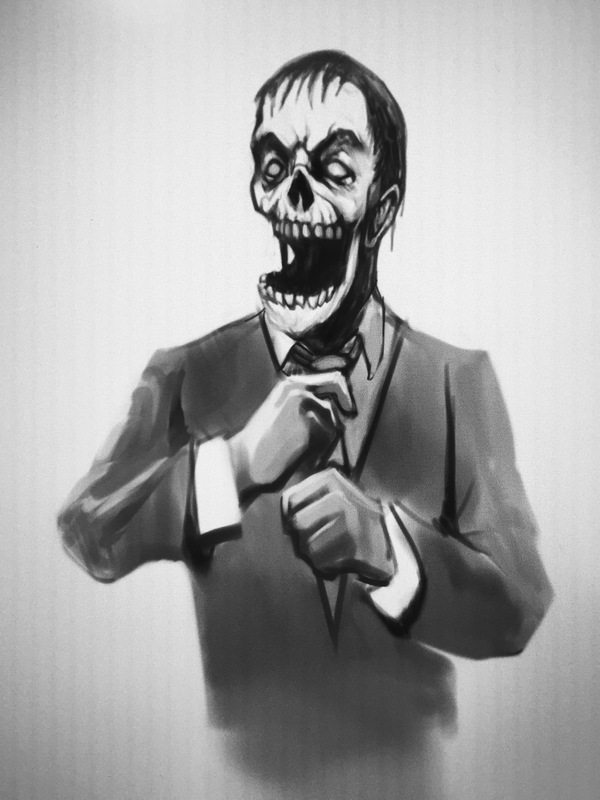 The aim and goal will be to eventually make the physical comic available for you as well, our online fans. Until then. Here’s a sneak peak at what were showing at the convention. 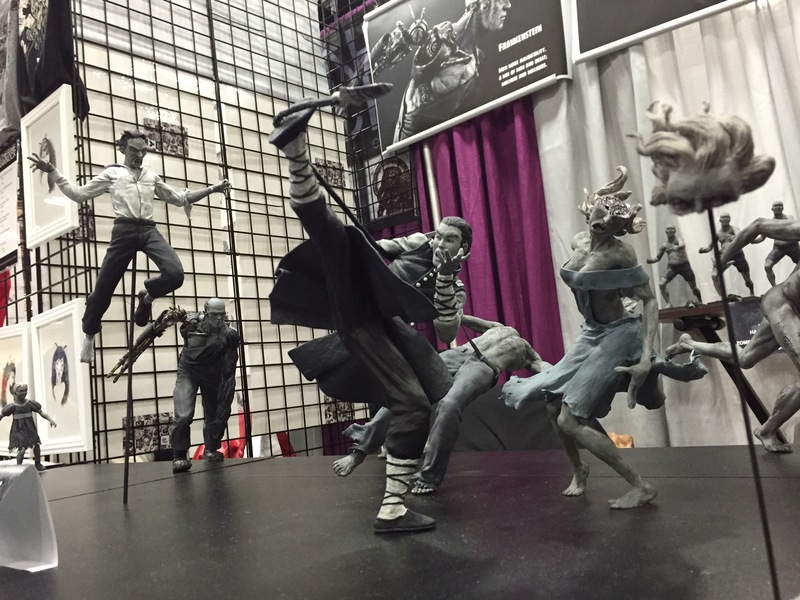 Vin Teng’s sculpture of our vampire hero slicing and dicing some zombies! 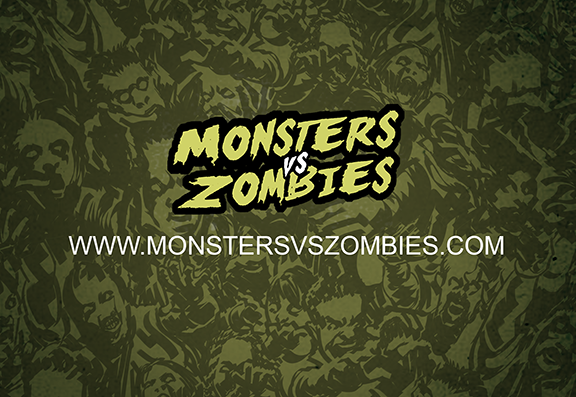 Monsters Vs. Zombies Coming to Comic Con San Diego 2014! 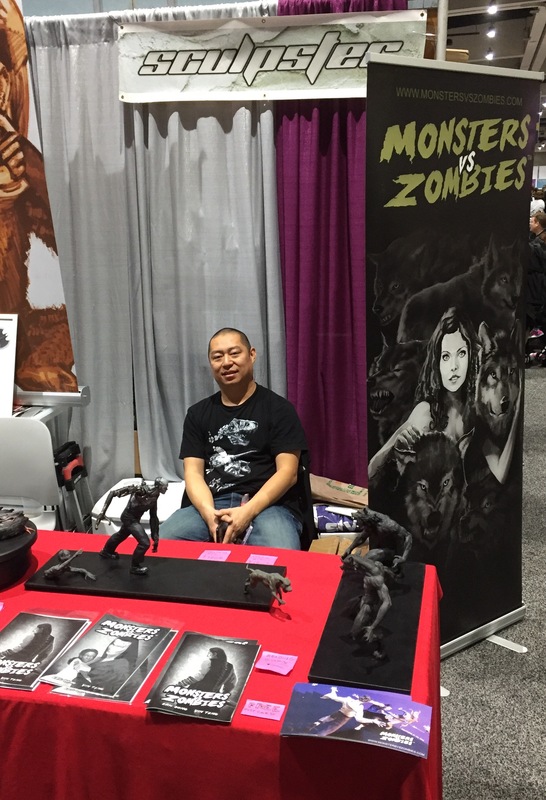 Monsters Vs. Zombies Booth J 05 @ Comic Con 2014! 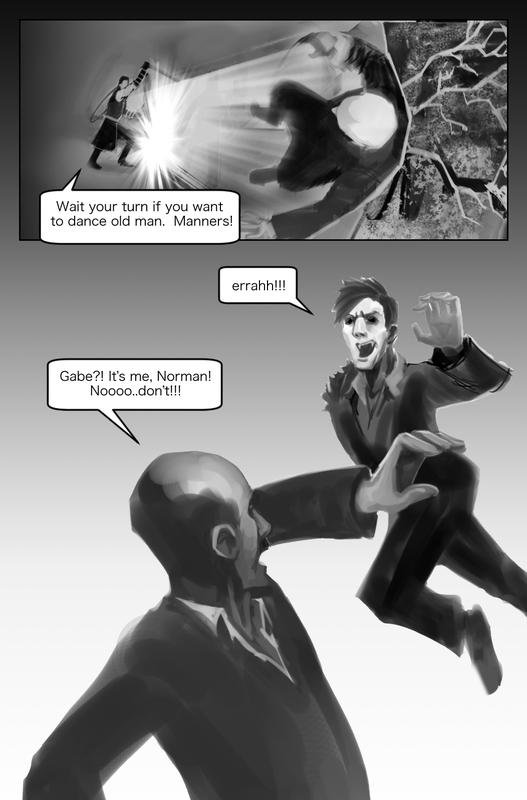 The upcoming webcomic release for Monsters Vs Zombies is fast approaching. I thought I post a piece of what I’ve been working on. I’m almost ready to start development of the actual pages, it won’t be much longer till I start posting the comic. Stay tuned! It’s been awhile, so I just wanted to let you all know that me and my team here @monstersvszombies are hard at work on the development of the new comic. 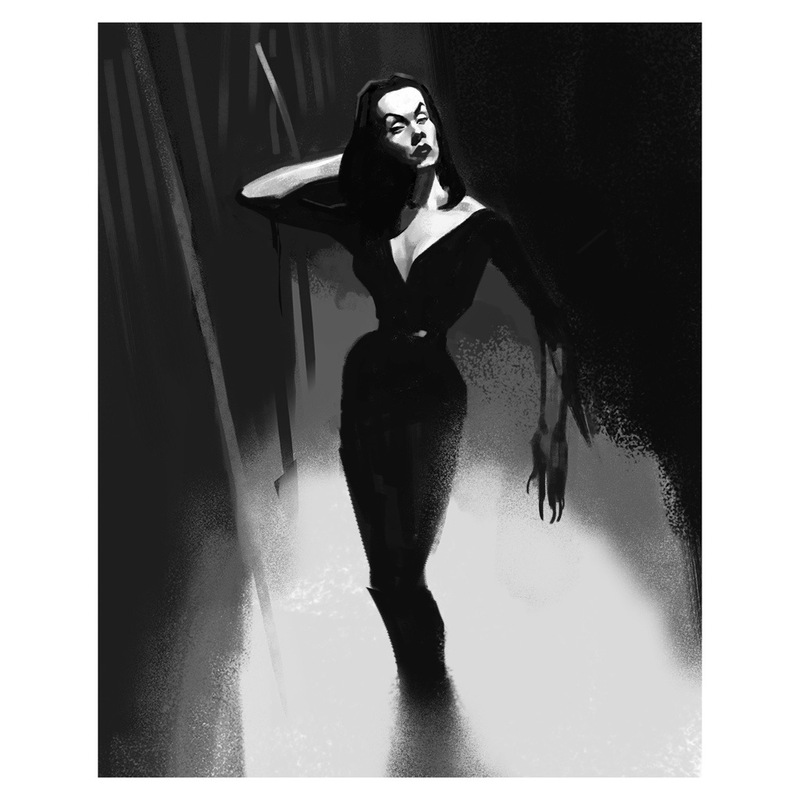 In the mean time, here’s a little study and sketch I did of Vampira. Wow. 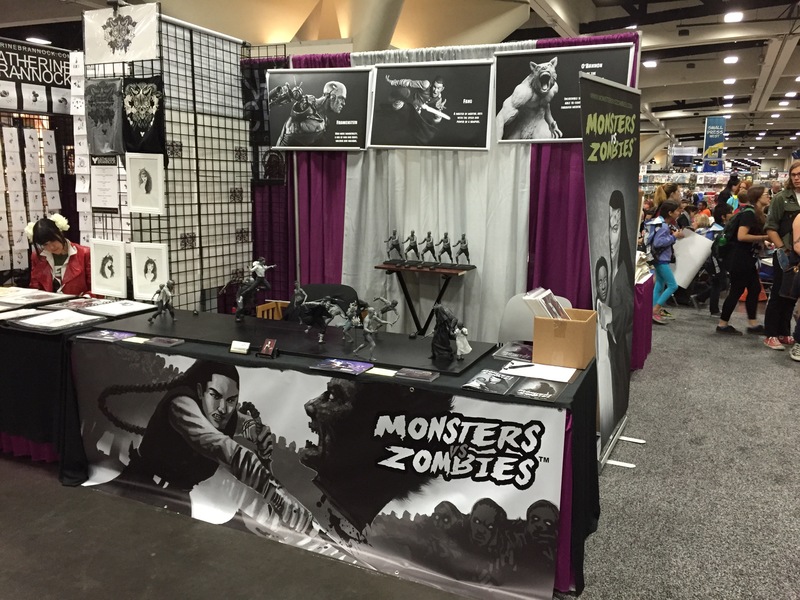 First of all, for those of you who I have already met at Comic-Con San Diego last week… THANK YOU ALL for being early supporters of the Monsters vs Zombies universe! I am throughly excited for the upcoming year in creating the Monsters Vs Zombies world, and I look forward towards entertaining you in the upcoming web comic. I am pushing for an October debut on this site, and I will be posting some sneak peaks and Concept Designs while I have the Monsters vs Zombies comic in it’s developmental “brewing” stages. So welcome to the pre-party. Take a seat, bookmark us, and hit that follow button. Stay tune for some wicked monsters vs zombies!